This project explores the intersections of personal and historical memory. 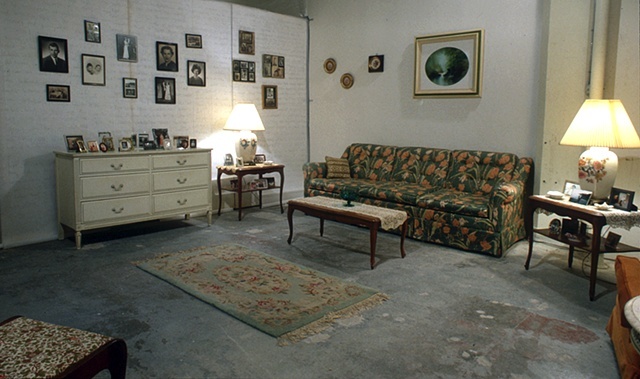 Using a combination of family furniture and artifacts, family and archival photographs, and oral history by my grandmother, this work sought to preserve family memory in the context of a traumatic event  the Holocaust  while also exploring the inevitable gaps in traumatic memory and second-generation witnessing. This project draws on the concept of "postmemory", a term coined by scholar Marianne Hirsch to describe the mediated "memories" that may develop in secondary witnessing projects  those in which one does not experience a traumatic event directly, but rather, by way of family stories, orla history, films, memorial institutions, literature, art, etc.